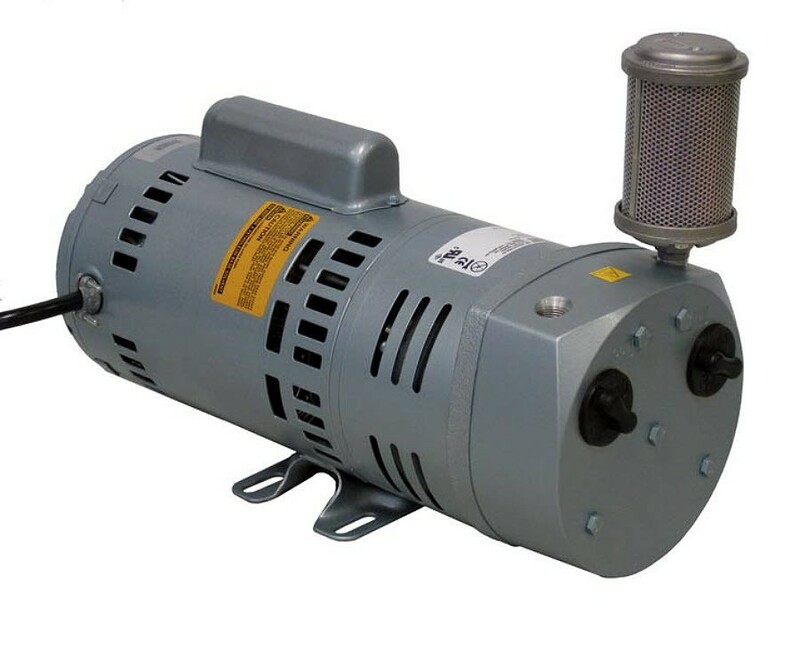 Rotary Vane air compressors and vacuum pumps are used in thousands of applications worldwide. Available in oilless, lubricated, motor-mounted, and separate drive styles, they offer a wide choice of capabilities. 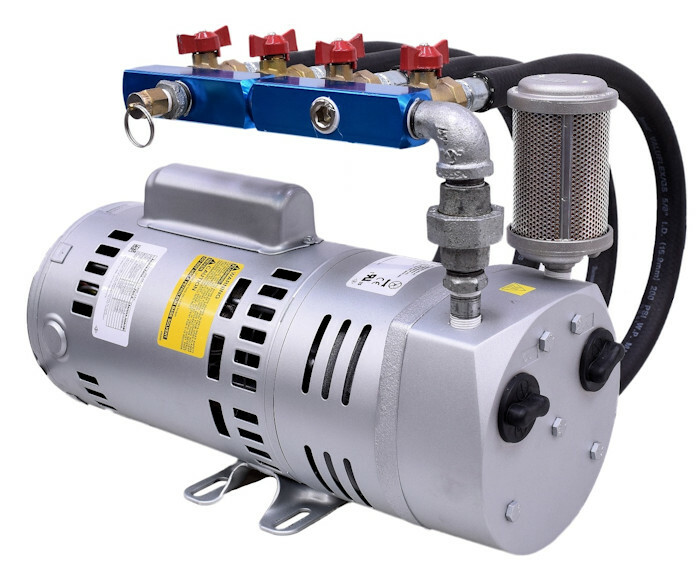 Long lasting, continuous duty compressors offer less depth capabilities than the diaphragm or rocking piston compressors but produce considerably more air Medium pressure, oil free compressors are excellent for pond and lake aeration and de-icing Carbon vanes self adjust to maintain maximum efficiency and are easily replaced when worn out All models have an 18' maximum operating depth, they come with air filter and 6' power cord Air outlet assemblies are available allowing one pump to supply up to 6 air manifolds. 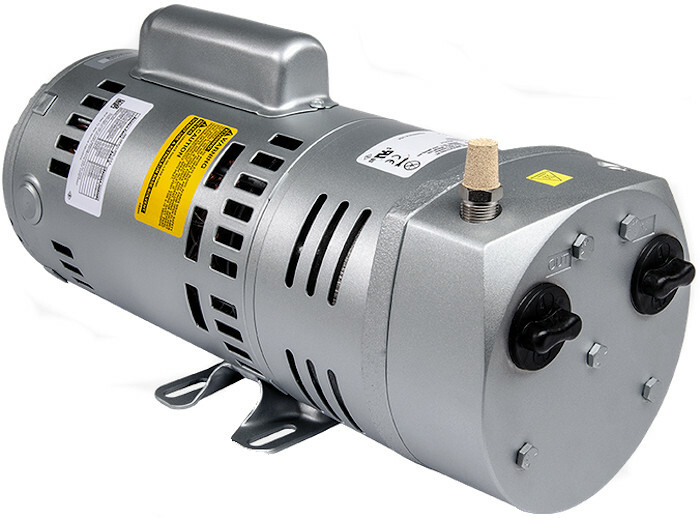 The easy to install, rugged motor-mounted rotary vane air-compressors from Gast® allow for higher flow levels and provide a unique internal corrosion protection for longer life. 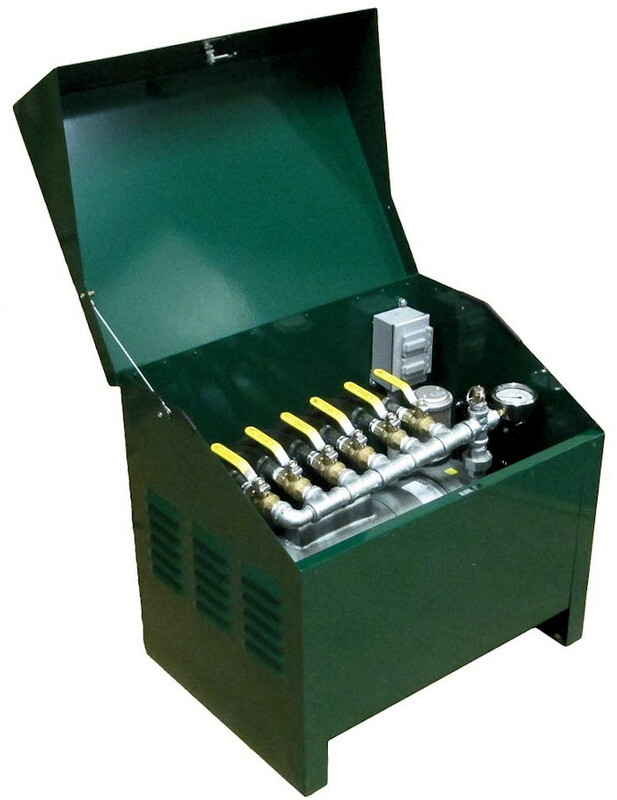 The Gast® series of continuous-duty pumps have internal sound suppression that results in lower operating noise levels, which makes them well suited for noise sensitive environments like rural aeration and mixing systems, pond and tank aeration as well as the demanding tasks in medical, dental and laboratory applications. 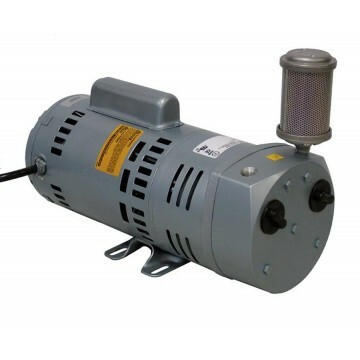 In addition, these compact units offer high flow, pulse-free air making them ideal for applications requiring consistent air pressure and air flow with minimum vibration. 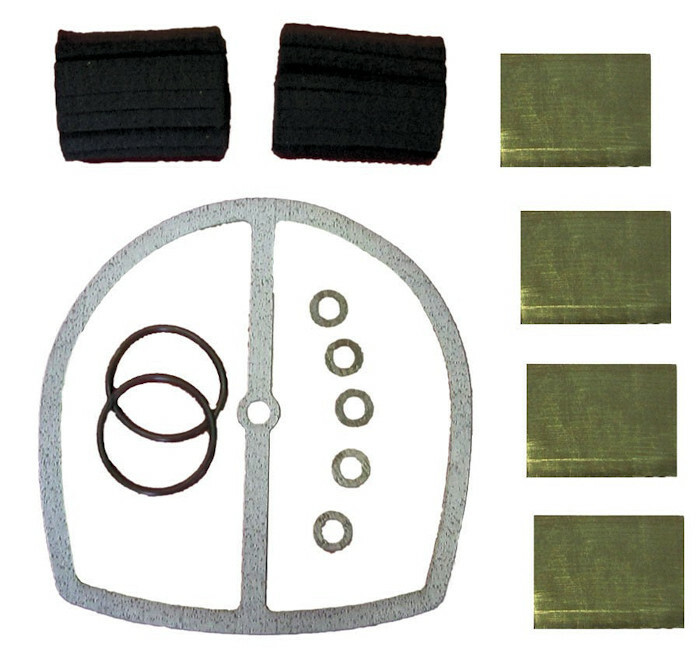 The sacrificial rotary vanes are easily field-replaceable. GAST compressors have a thermal overload protection which protects the motor windings from damage should the pump become stalled during operation. 115v / 230 v 0' 6' 12' 18' Ship Wt. 1/4 HP 18' 1/4 115 / 230 5 / 2.5 4.5 4.3 4.0 3.6 34 lbs. 3/4 HP 18' 3/4 115 / 230 12 / 6 10.0 9.6 9.2 9.0 53 lbs. 18' 1 115 / 230 14 / 7 13.5 12.4 11.7 10.4 58 lbs.